The luxury multifamily project will be home to the cryotherapy concept’s second Atlanta location. 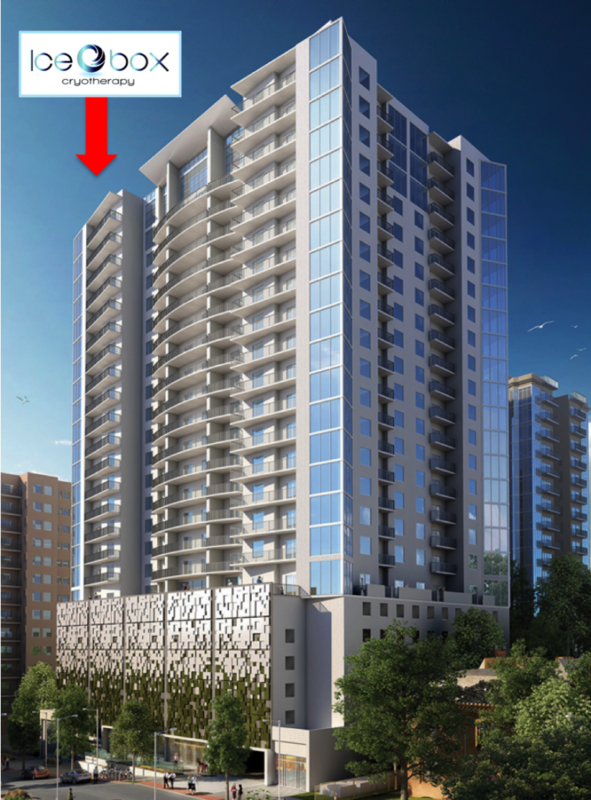 The Trillist Companies, Inc., the residential developer behind the soon-to-open Yoo On The Park, Thursday announced a deal has been inked to open an Icebox Crotherapy on the ground-floor of the 25-story luxury multifamily project. “With quality of life a primary focus of Yoo on the Park, we were selective about bringing the right retail business to the property that would complement our emphasis on creating an atmosphere of health and well-being,” Scott L. Leventhal, president and CEO of Trillist, said in the announcement. Founded in 2012, Icebox Cryotherapy is the “nation’s first retail center for cryotherapy treatment.” The Midtown outpost would be the company’s second Atlanta location. “Icebox Cryotherapy provides therapeutic programs in a spa-like atmosphere, and our three-minute therapy sessions are designed to accommodate the demanding daily schedule of busy young professionals,” Alia Alston, co-founder and co-owner of Icebox, said in the announcement. The 1,100-square-foot space will be the “most tech-driven facility” for Icebox Cryotherapy, as the space’s buildout will be designed to specifically take advantage of the latest advances available in cryotherapy. Icebox Cryotherapy is expected to open this fall, coinciding with the opening and move-in dates at Yoo On The Park. The hours of operation will be seven days a week. Read original article on What Now Atlanta.